Wildlife, drugs, litter, sunsets…monitoring is a mixed bag. 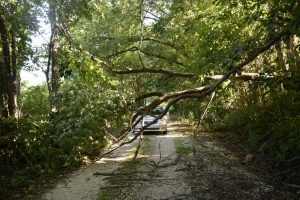 Downed trees need to be cleared from the road. We weren’t prepared with the correct tools when this happened. 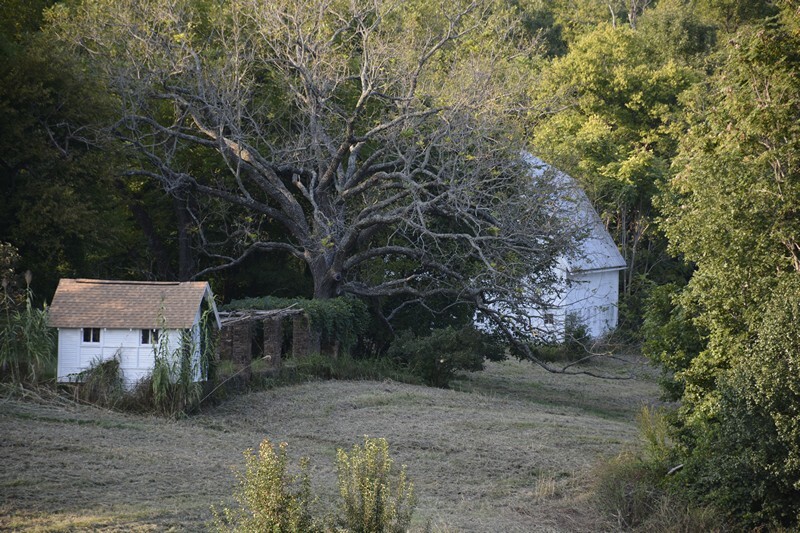 In October 2015, we moved to the Historic Johnson Farm for our Ripples project. That began a crash course in property monitoring, and in October 2017 we decided to create a Monitoring Log to record our regular building and land checks, suspicious activity, observations and visitors to the farm. That includes everything from picking up the beef jerky wrappers littering Pear Lane to working with the county sheriff’s department when drug users get high in the historic orchards and cemetery. Most days, and I mean like 345 out of 365 days a year, nothing out of the ordinary occurs. The typical monitoring session is extraordinary only in the wildlife we see and hear, and the sight of seasonal beauty in the trees. Sunset is my favorite time to walk the land and roads, keeping the sun company while it tucks itself in behind Kessler Mountain for the night. Brilliant colors and all shapes and sizes of clouds can be seen from the fields! Most of the time nothing bad happens. But occasionally, we do need to take action to protect the farm. The biggest illegal dump we had was last summer, and involved a large silvery metal box full of garbage. It was larger than me! We called the Arkansas Forestry Commission of Washington County (479) 444-1725 and, after getting lost, they found the dump site and cleaned it up. We’re lucky to have that service. It’s easy to take care of the weekly litter: pop cans, beer bottles, fast food wrappers and bags. 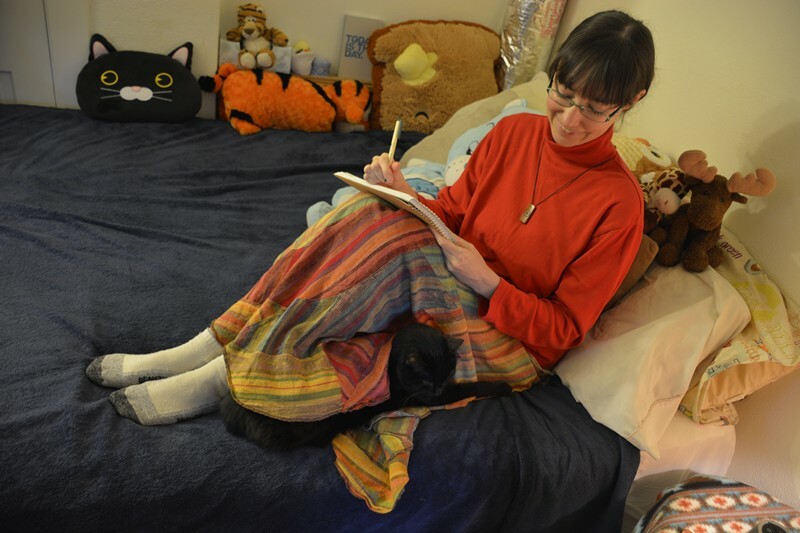 Amanda enjoys a Solo cat snuggle while recording the day’s observations. We check each building’s doors to be certain they’re locked, since many organizations and visitors come and go from the farm both when we’re at home and when we’re not at home, and not everybody locks up or notifies us that they’ll be here. (The owner typically coordinates those visits; we never give out keys.) Also, we observe the general area for signs of use or damage to windows.